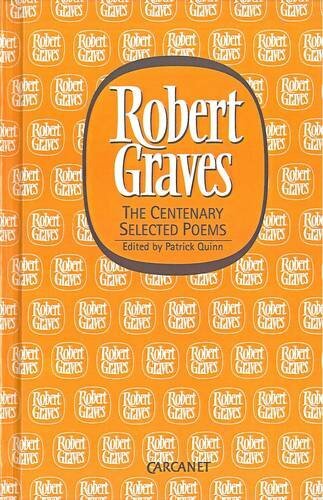 Robert Graves (1895-1985) was a writer of extraordinary breadth whose output ranges from a classic account of his First World War experiences, Goodbye to All That, through the "potboiler" (his own term) success of I, Claudius, to the poems inspired by his quasi-mystical devotion to the 'White Goddess'. Born in Wimbledon, it was Graves' Celtic inheritance via his Irish poet and folklorist father and his frequent childhood visits to Wales that were to provide his imaginative bedrock. When war broke out he joined the Royal Welch Fusiliers: supposedly dead of wounds in France, his obituary appeared in The Times, but Graves survived and published his first collection of poems in 1916 drawing on his experiences at the Front. His work was featured in the Georgian Poetry anthologies edited by Edward Marsh, but even at this early stage his work didn't sit easily inside established categories. A decisive development occurred in 1925 when Graves met the complex and charismatic American writer, Laura Riding, with whom he began a passionate affair of the heart and mind which lasted until 1939. Riding became his muse and the inspiration behind his exploration of the mythical figure of the White Goddess and his belief in her as the source of all true poetry. The book of the same title, his "historical grammar of poetic myth", was published in 1948. It posited the idea that behind Judaism and Christianity lies the presence of a much older European matriarchal deity inspired and represented by the phases of the moon. His thesis stated that a poet needs to be devoted to the creative energies of this goddess, to learn to be a channel through which her unmediated inspiration can flow. 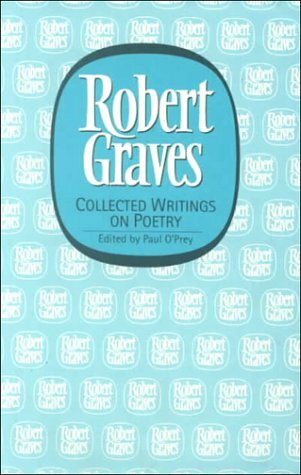 Whilst this sounds like a celebration of the irrational, Graves' theories are rooted in a deep knowledge of ancient cultures and the classical world of the Greeks and Romans; some of his ideas have been discredited by academics working subsequently in these fields, but The White Goddess remains a fascinating account of the roots of poetic inspiration. It certainly remained Graves' personal manifesto for the rest of his long writing life. Out of his idiosyncratic interests and wide learning came a poetry that is highly distinctive, as evidenced by his featured Archive recordings. 'The White Goddess' is clearly a key statement in verse of his poetic principles. During the quest narrative of the poem, the Goddess is revealed as a deeply ambiguous figure, both alluring and potentially deadly. Another paradox in the poem, and one that runs throughout Graves' work, is the balance between control and ecstasy - the God Apollo's espousal of moderation may be explicitly rejected but the poem's powerful exploration of the "bright bolt" of creative impulse is handled in a perfectly restrained formal verse. This tension is also evident in his much earlier poem, 'The Cool Web': here language seems to be a barrier to the true and vivid experience of life we feel as a child, but it is also a necessary protection from its "black wastes". The overtly lyrical tone of the poem is undercut beautifully by the intrusion of the adult, distanced voice of the last line: "We shall go mad, no doubt, and die that way." 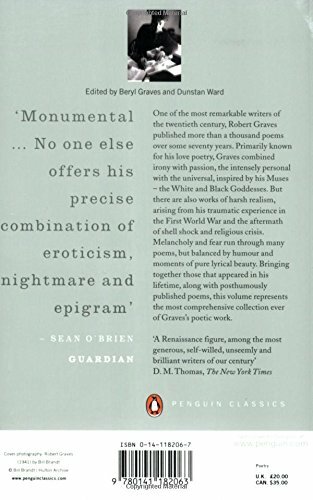 It's the colloquial tone of that brief aside, "no doubt", which informs Graves' own reading of his work; when he reads it's Apollo that speaks, not the Goddess and in this he forms an interesting contrast to a more overtly 'bardic' reader such as Dylan Thomas.